88 years after Khankendi was renamed Stepanakert after Stepan Shahumyan ( the ethnic Armenian “Caucasian Lenin”) the city is now a vibrant place to be, and looks positively to the future. This is despite the fact that 20 miles to the East is the “front line” with Azerbaijan, which holds in place the 17 year old cease fire; occasional sniping takes the lives of the young men of Karabakh and Azerbaijan in this delicate peace. 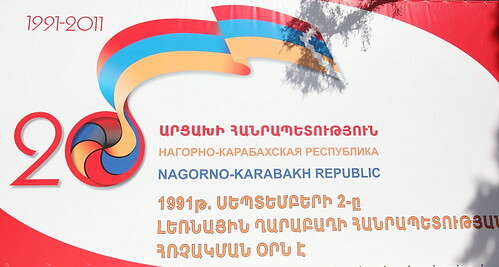 20 years ago when Nagorno-Karabakh ( Artsakh) declared its independence from Azerbaijan, exploiting the benefits of Gorbachev’s perestroika, Stepanakert was a very different place. Lying in a plateau to the north of the Azeri controlled city of Shushi, it was systematically bombarded by Grad missiles, and other weaponry, which subjected it to widespread damage leaving it without vital services, and basic amenities. For several years the people were under siege, and suffered many casualties throughout that period. It is only since the ceasefire of 1994 that the city has been able to re-build itself, allowing the people to gradually achieve some degree of normality. 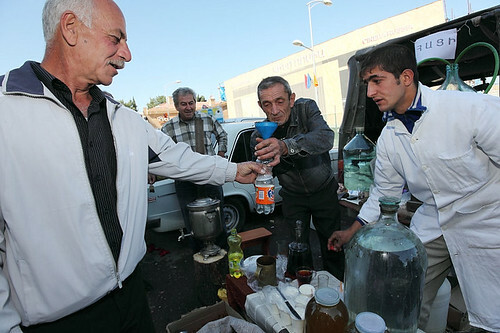 Although Stepanakert is a capital city, with the seat of the Government of the Nagorno-Karabakh Republic, firmly positioned in the centre, it’s ability to develop fully is curtailed as it is in a state that is unrecognised by the rest of the world. Being an “unrecognised state” is like being an orphaned person, with no identity papers, and no birth certiifcate – one has no ability to do the normal and simple things in life. On an individual level, such a situation would be considered to be a contravention of one’s human rights – this is no different at a state level. Regardless of the rights and wrongs of the war, the fact is that 150,000+ individuals, the vast majority of whom will have no culpability with respect to the conflict, do not have the opportunities which every person should have. Stepanakert celebrated its 88th Anniversary very modestly, and a number of events were occasions for the young people of the city to show their personal and group talents, through music and fun. Also people from the local villages came to a temporary market place to exhibit and sell their produce. Personally, I was met with great spirit and friendliness, and there was no shortage of people who wanted to pose for the camera and proudly show the Karabakhi culture. I was unable to resist the generous and hospitable offers of the home-made mulberry vodka, which was very powerful; a quick mouthful of cooling sour cream is a must to avoid the inevitable coughing and wheezing. There is always a danger in rich countries to view people in little known parts of the world with a level of patronising ignorance. Our perceptions have an inertia to them which means we are outdated in our images, and expectations, we can associate poverty with lack of education, or intelligence, we can misjudge poor infrastructure with lack of sophisticaton, or being old-fashioned or “backwards” and because there will be a language barrier, never truly experience the quality of the culture, and the difficulties of the struggle, and therefore fail to learn to respect people on a human and individual level. 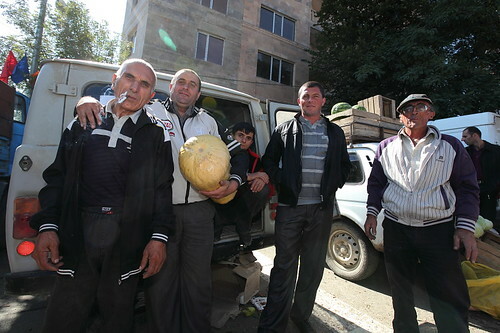 The people of Stepanakert ( and the rest of Nagorno-Karabakh) have survived the war with Azerbaijan, and have re-built their community despite the physical, political and economic blockades, and live everyday with the threat of war. Many will be refugees from Azerbaijan, expelled as part of the ethnic cleansing on both sides during the war, and will have mixed feelings about their current status. A good proportion of this could be resolved by the international community, and so bring some help and support to this region. Unfortunately this place is not only “unrecognised” it is also “forgotten”, it has no oil, no wealthy friends, no money and therefore no influence. 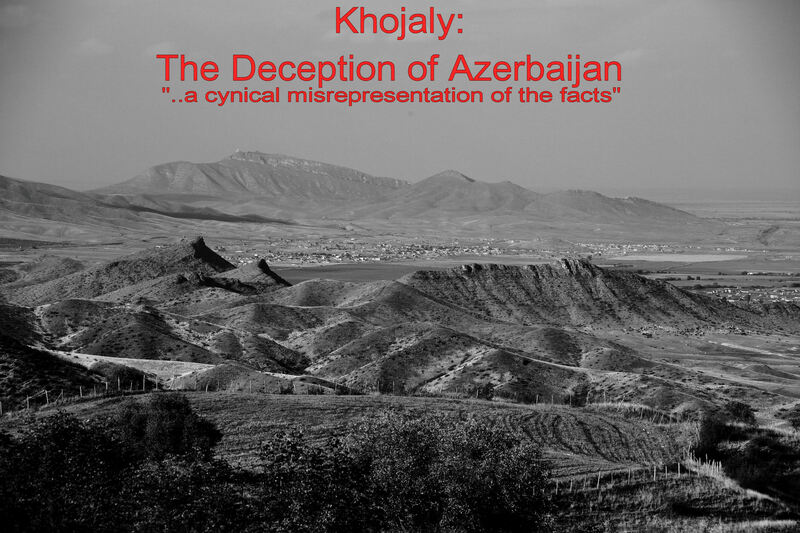 However it is locked inside the conventionally accepted borders of Azerbaijan which has oil, money, wealthy friends, and influence – and they want it back! 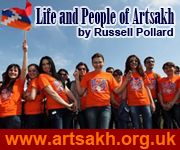 I thank you, as an Armenian of the diaspora and also as a human being! 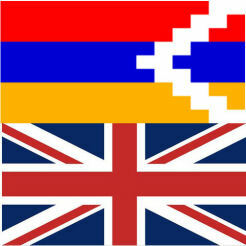 Please, note that Khankendi was NOT renamed Stepanakert.